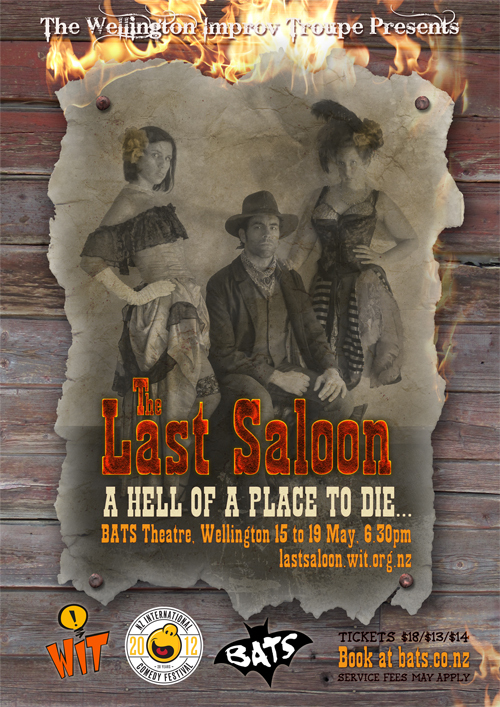 Finished: the flyer for The Last Saloon, a show in the NZ International Comedy Festival in Wellington next month – should be an excellent time! This entry was posted in digital, photography, Photoshop and tagged cowboy, fire, improv, improvisation, last saloon, saloon, WIT. Bookmark the permalink. ← Boy in a mask on a unicycle. Of course.